Buy These Minneapolis Duplexes Before They Hit The Open Market | Your best resource for buying, selling, owning and investing in duplexes and duplex homes. Sometimes, Minneapolis and St Paul duplex sellers get a “to do” list from their Realtor. This list usually includes things like getting a Truth In Housing inspection, touching up paint, or simply decluttering a property. And because you never get a second chance to make a first impression, the Realtor recommends the tasks be completed before the property is exposed to thousands of buyers on the Multiple Listing Service (MLS). If you’re looking to buy a duplex, especially with as little inventory as there is right now, knowing about these properties before they go on the MLS gives you a head start on the competition. I have the following properties coming on the market as soon as the sellers finish their “to do” lists. However, because I’m the listing agent, I can get you in to them now. Uptown Duplex – 2 bedrooms down, 2+ up. Front porches on each floor, hardwood floors, and tons of light. Leases end in May, so either unit will be available for an owner occupant. $400,000. 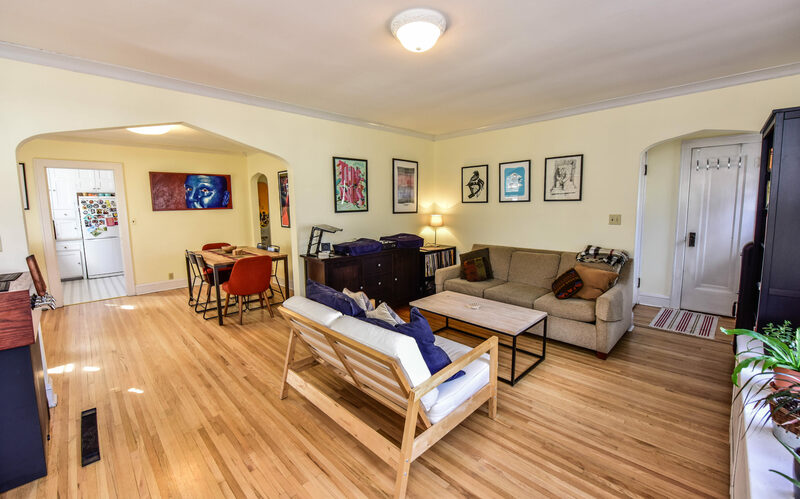 S. Minneapolis Duplex – Beautifully maintained. Hardwood floors, arched doorways, wonderful light. 2 bedrooms up, 2 down, 2 car tuck under garage. Screened porch, fenced yard, and your own raspberry patch! $300,0000. S. Minneapolis Duplex – Impeccably maintained duplex with room for master suite on third floor. 2 bedrooms up, 2 down, built-ins, fireplace, hardwood floors and a 2 car garage. Needs some cosmetic updating. $250,000. N. St Paul Fourplex – Cash cow. Four three bedroom units with their own furnaces. All new windows. $399,000. Edina Condominium – Spacious 2 BR, 2 BA in a park-like setting. Pool, exercise room, garage. Will be priced right. If you have interest in seeing any of these properties before you have to compete with the buyers using only the Multiple Listing Service, give me a call at (612)290-5998. I’d be happy to get you in.